Very tall stems and large bluish-green leaves, open habit. 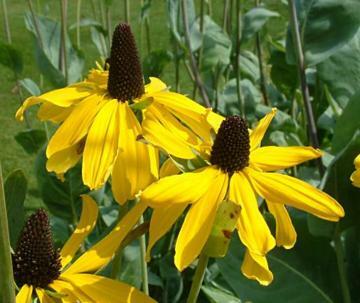 Upward facing golden-yellow flowers with cone-shaped black-brown centres, produced in summer, often from July through to October. 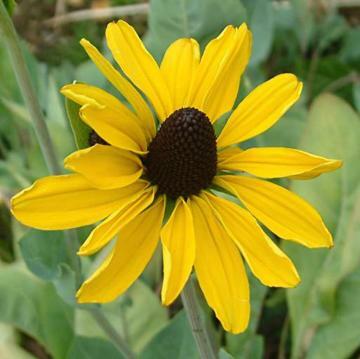 Prefers moderately fertile, preferably heavy but well-drained soil, in full sun. May need support. Back of borders or as a tall feature plant. Good long lasting cut flower.